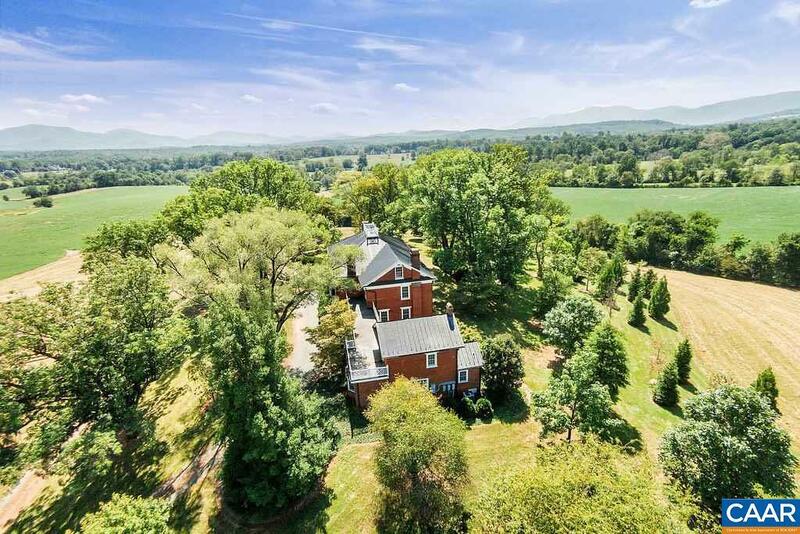 A stunning Western Albemarle farm with mountain views in every direction located at the base of the Blue Ridge Mountains in the heart of the Greenwood Estate Area. Restored 1921 brick manor house sits on a tree-covered knoll and features a two-story attached guest wing connected by a brick arched breezeway. Also on the property, a 2-3 bedroom, 1,500 square foot cottage and barn group consisting of a large bank barn and 3-bay equipment building with workshop and attic. Blue Ridge Mountain views to the west and north and views of the Ragged Mountain range to the south. The land is all open with two streams; suitable for livestock, orchards, vineyards or other crops. Great large pond site. Beautiful setting in the foothills. 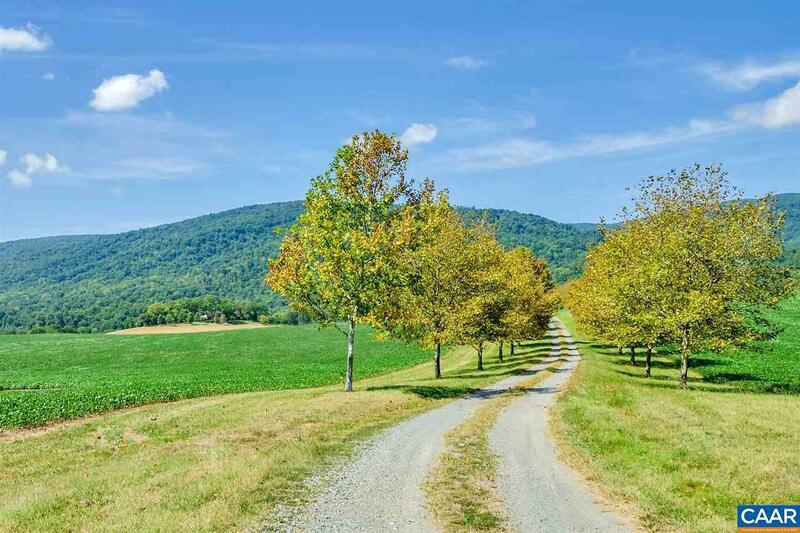 Farm Remarks Beautiful Rolling Open Land Suitable For All Types Of Agricultural Pursuits. The Farm Offers Well-Draining Soils And is Currently Leased To A Local Farmer Who is Rotating Crops Seasonally. 2250 Square Foot Bank Barn Currently Used For Hay Storage With Open Space Below On Concrete Slab And An 1800 Square Foot 3-Bay Equipment Building With Workshop And Walk-Up Storage On The Second Level. Cottage Could Be Used As Farm Manager's Residence Or Additional Guest Quarters. Endless Possibilities. Listing provided courtesy of Stevens & Company-Crozet.